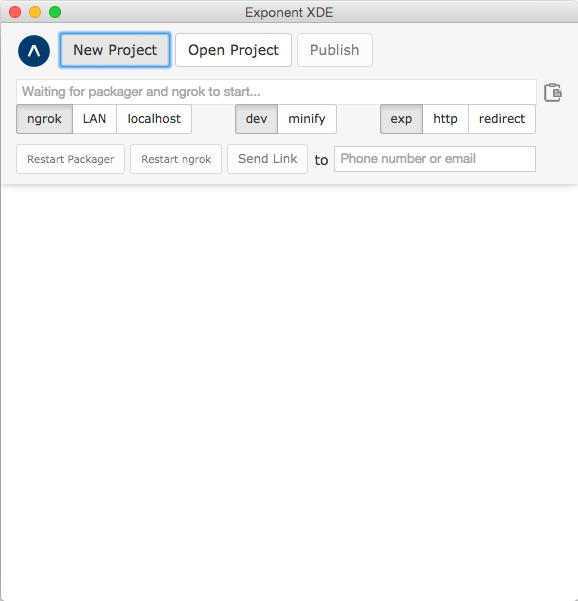 The team behind Exponent is releasing today a new tool that simplifies its Developer Experience. When we previously talked about Exponent it still was a command-line only tool. From today all of its features are available through the new xde GUI. Go into the xde/ directory where you cloned the Git repo and run npm install. Once that completes, run npm start to start the GUI.